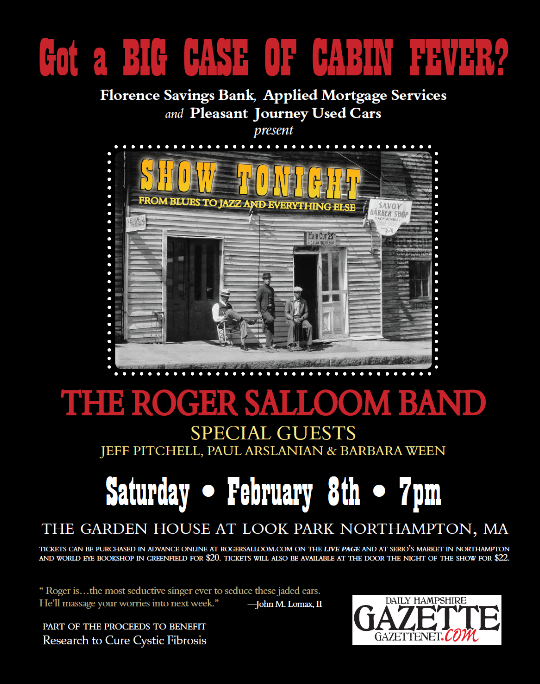 Here’s a great way to spend a Saturday night in February! I’ll be singing the first set with the band. Learn more about Roger Salloom in case you’re new to his music. This entry was posted in Groups I sing with, The Roger Salloom Band on January 30, 2014 by barbarajween.